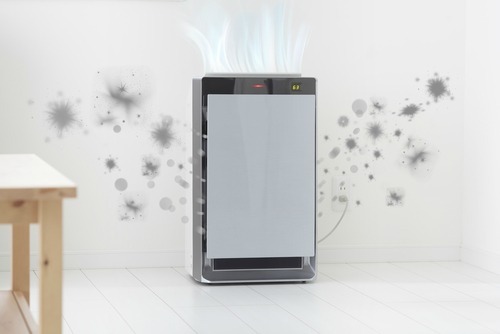 What’s the Difference Between Air Cleaners & Air Purifiers? The terms ‘air cleaner’ and ‘air purifier’ are often used interchangeably, and from a functional standpoint each serves a similar purpose. But they rely on different filtering technologies to restore compromised indoor air quality. Air cleaners and air purifiers come in two models, portable and whole-house. The former will filter the air in specific rooms, while the latter are installed directly inside HVAC systems and can help keep the air fresh and healthy throughout the home. For the removal of dust particles and other types of non-organic contaminants, air cleaners come highly recommended. An air cleaner contains filters that remove a wide variety of airborne contaminants from indoor breathing spaces. Over time these filters will have to be cleaned and/or changed, but with regular maintenance they will do a superb job of providing you with ample quantities of breathable air. How do air cleaners work? Air cleaners are installed inside ductwork, where they can work their magic as heating and cooling systems continuously circulate air throughout the home. Each time air passes through the filters will capture and remove more contaminants, and as long as you change the air cleaner filters on schedule your appliance should deliver outstanding performance for years. What do air cleaners filter? Whole-house air cleaners offer excellent protection for those who are prone to allergies, asthma attacks, and dry and itchy skin, eyes, throat and nasal passages. People who are concerned about the ravages of living allergens would be wise to invest in an air purifier rather than an air cleaner. Air purifiers target airborne bacteria, mold, mildew, dust mites, fungus and viral agents for extinction. These purifiers can remove other contaminants as well, but they are specially designed to prevent ductwork and other areas of the home from being invaded and colonized by unwanted microorganisms. Air purifiers rely on UV (ultraviolet) light to kill or deactivate microbial life. Installed on or near the HVAC air handler, whole-house UV air purifiers are highly effective at preventing mold, mildew or fungus outbreaks, and they can stop bacteria and viruses from contaminating the air you breathe and putting your family’s health at risk. What do air purifiers filter? Should You Buy an Air Cleaner or Air Purifier? An air cleaner is an ideal choice for those who are most concerned about typical indoor air pollutants, which may come from inside the home or through open windows if you live in a polluted area. Meanwhile, air purifiers are the best option for homeowners with ongoing mold problems, or whose families suffer from frequent viral infections. Moisture problems in the home are another good reason to choose air purifiers, since microorganisms tend to thrive in moist environments. Regardless of whether you purchase an air cleaner or air purifier, you won’t get good results if you purchase cheap equipment, or choose cut-rate installation services. Whole-house air cleaners and air purifiers are definitely more effective than portable models, but if you live in an apartment portable appliances can still make an impact. If you want to learn more about air purifiers and air cleaners, and about installation procedures for whole-house models, please contact Rheem Pro Partner today. We provide the very best solutions for indoor air quality restoration and maintenance throughout the Colorado and Wyoming area.